Recipient of the Ole Bull Award from the Ole Bull Folk Academy in Voss, Norway, and the St. Olaf Medal from the government of Norway for her work promoting Norwegian culture in the United States. 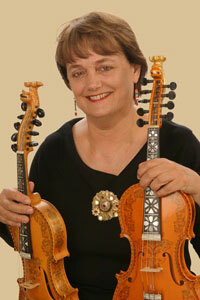 She will perform on the Hardanger fiddle, (the nine-stringed folk fiddle from Norway) and the violin. A Nancy Dice Memorial Concert presented by International Friendship Through the Performing Arts. This activity is made possible by the voters of Minnesota through a grant from the Minnesota State Arts Board thanks to a legislative appropriation from the arts and cultural heritage fund.